Chemically produced analgesics are the most common methods to curb pain. However, they come with their own side-effects such as heart burns, irregular bowel movements, and skin rashes. Herbal analgesic like Marijuana counters pain and acts as a safe alternative to conventional analgesics. Although, there has been a lot of debate about the efficacy of marijuana for pain relief. Historically, there are pieces of evidence of marijuana use for pain-relief. According to a study, marijuana use was prevalent in the 4th century BC to counter labour pain. Another study indicates that the physicians in British India used marijuana in the 19th century AD for treating pain, inflammation, and muscle spasms. Let us see how medical marijuana helps with various types of pain. 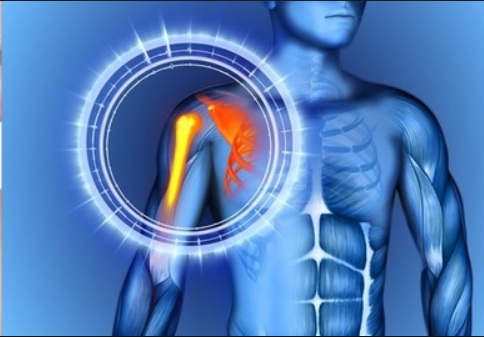 Inflammatory Pain is a pain resulting from damage to tissues in the body. During injury, the injured site releases a protein, which signals the brain to create the pain sensation. Marijuana contains cannabinoids like THC and CBD that have anti-inflammatory properties and CB receptors which interact with the immune system of the body to dampen the pain in the body. You can look for good quality marijuana strains like the white widow for pain relief. 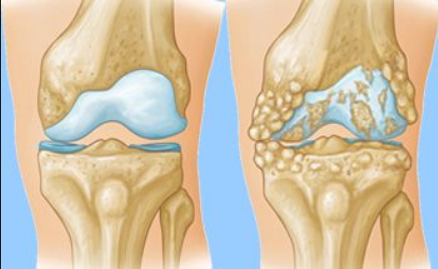 Arthritis is a disease caused by wear and tear of cartilage between bones at hip and knee joints leading to abrasion of the joint and chronic pain. Rheumatism occurs due to inflammation and pain in the joints, muscles and fibrous tissues and most common in fingers, feet, and ankles. According to the Arthritis Society of Canada, medical cannabis is legally used for treating arthritis-related pain since 2001. Cannabis in the form of CBD oil, when applied externally, can help in treating rheumatoid arthritis and Osteoarthritis. The CB receptors found in cannabis triggers the body to produce its own cannabinoids, thus helping in pain relief. Fibromyalgia is a pain-related syndrome caused because of dysfunction in the way the brain processes the pain signals. It can result in chronic musculoskeletal pain and increased sensitivity to tender points in the neck, spine, shoulder, and hips. According to a study, medical cannabis had a significant favourable effect on patients with fibromyalgia and helped in alleviating the pain. Gastrointestinal problems are very common because of bad food habits. Typically abdominal pain in GI issues emerges because of gastritis, acid reflux, and ulcer. According to a study, Cannabinoids, present in cannabis, empower the endocannabinoid system of the gut and protects the GI tract from ulcers and other inflammatory issues like irritable bowel syndrome, Chron’s disease, and chronic abdominal pain. Thus, marijuana relieves abdominal pains resulting from gastric issues. A migraine refers to recurrent moderate to severe headaches associated with other symptoms. Women are the most common victims of this pulsating headache. Research shows that a deficiency of the endocannabinoid system (ECS) leads to a migraine. Using cannabis, the ECS can be re-activated and it can help in alleviating the pain due to a migraine. Multiple Sclerosis (MS) is a neurodegenerative disease associated with muscle spasms, painful muscle cramps, and chronic pain in the limbs. It is essentially an auto-immune disease and the cure for MS is still under research. According to a study, medical cannabis is finding uses for treating MS patients. The CB receptors in cannabis are aiding the immune system to fight against MS, and MS patients did report a reduction in the pain after taking cannabis. American Cancer Society states that marijuana has shown benefits for chemotherapy undergoing patients to relieve their pain. The cannabinoids like THC and CBD in cannabis can slow the growth of cancer cells. Whereas, inhaled or smoked marijuana can even relieve neuropathic pain caused due to cancer. Looking at the potential use of marijuana for handling pain during chemotherapy, it is a good idea to look for growing marijuana indoors if your state laws permit. An ideal variety to grow easily is the autoflowering marijuana seed. Parkinson’s disease is a chronic, progressive disorder of the central nervous system degrading movement and coordination. This condition arises from the damage to dopamine-producing neurons. This can cause neuropathic pain. According to a study, Cannabis can help in activating the serotonin receptors in the brain that can reduce pain due to Parkinson’s disease and also helps in proper sleep. According to an article in the New York Times, expecting mothers are resorting to marijuana for reducing labour pain. Apparently, they are preferring weed over chemical analgesic and there are no instances of any ill effect to the baby due to marijuana usage before the delivery. Although, there is no direct evidence of marijuana benefits for labour pain it seemed to have helped few mothers to deliver their babies successfully. Thus, we see that marijuana has great potential in relieving pain for a variety of ailments. However, marijuana use is best suited under a doctor’s supervision and should not be confused with recreational use when the need is pain removal. Nancy is a blogger who loves to write especially in the Cannabis vertical. She has written many informative blogs in other verticals too.